From our signature cheese blend in the Say Cheese to the unique flavors in the Tuscan, each and every melt is made with the finest ingredients available. At Capitol Melts, we take the time to ensure that the quality of each of our melts meets the highest standards of flavor and freshness. Capitol Melts has built a menu to appeal to all tastes. 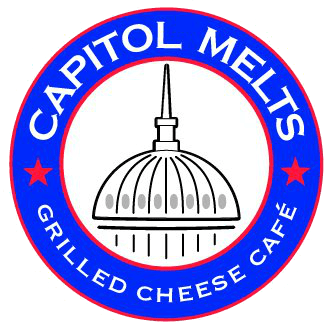 Starting with a breakfast that includes exceptional melts like the Maple Sunrise and the Southwest, Capitol Melts continues to lunch with the Wingless Buffalo and Bacon Cheeseburger melts. Don't forget to try the exclusive Chicken Pesto Pizza Melt while you're here!